This project makes a fun and useful housewarming or hostess gift. 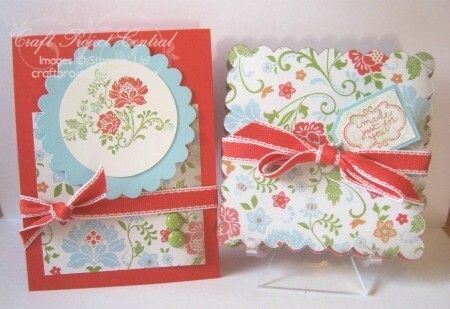 Pair it up with the coordinating note card and you’re set! 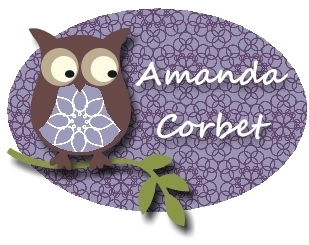 With all of the gorgeous Designer Series Papers from Stampin’ Up!, the possibilities are endless!! This project also makes a great class, club or stamp camp project! This beautiful project was designed by Laurie! 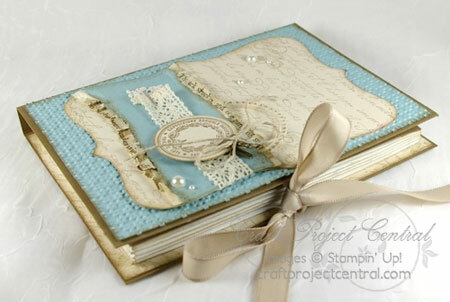 This pretty-vintage greeting card has a Faux Book look that will wow the recipient whether they’re a book lover or not! The compartment inside is deep enough for a gift card (how about a Borders gift card), or any other small treat! This project is also a quick and easy club, class, or stamp camp project! This fabulous project was designed by Monika! You can get these an many other great tutorials by subscribing to the February edition of Craft Project Central by clicking HERE!